A detailed map og the Aegean Sea showing the route taken by Myller on fourth stage of his travels (from Constantinople to Egypt).From a book by A M Myller recounting his travels from 1725 to 1727. 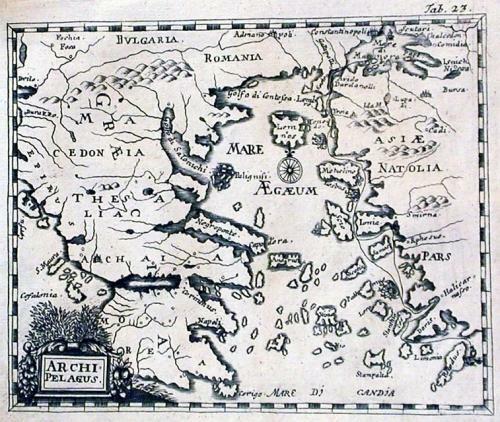 Myller journeyed from Rome to Jerusalem then on to Troy, Gallipoli and Constantinople. From Constantinople he travelled to Egypt and then to Syria. Finally from Syria he travelled to Malta and back to Rome.